Visitors to the Museum of English Rural Life will soon be able to discover some of its more hidden treasures thanks to an award of £175,000. 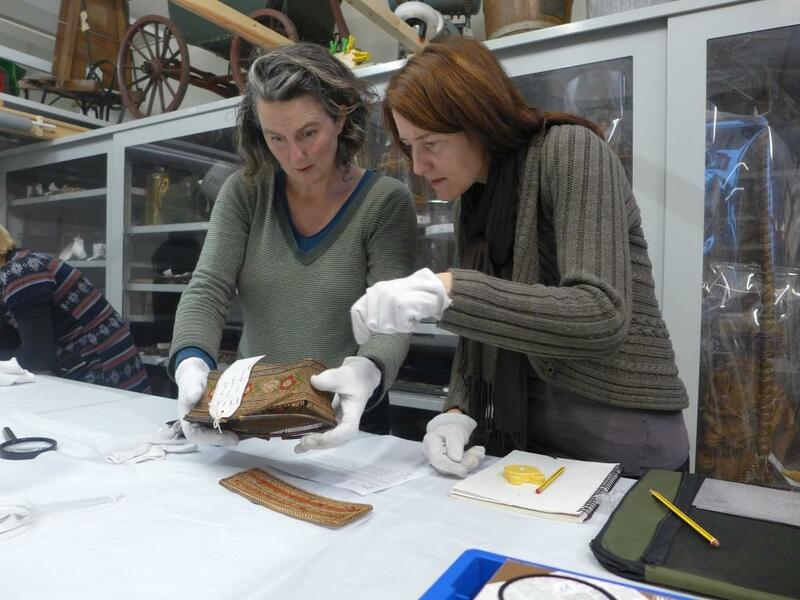 The Museum (MERL), which is owned and managed by the University of Reading, is one of 40 museums across the country to be awarded a joint grant from the Department for Culture, Media and Sport and Wolfson Foundation. The grant will allow visitors to view some of the smaller, more fragile, collections and objects, currently only accessible to visitors on guided tours, in striking new display cases. These include a range of traditional crafts including smocking and material from our more recent past such as Women’s Land Army material. Clothing from a 1990s Newbury Bypass eco-warrior will also be displayed for the first time. The new display opportunities support MERL’s current Heritage Lottery funded redevelopment project, Our Country Lives. The project aims to transform the way that visitors understand our rural past through MERL’s collections. This means shifting the focus from large agricultural machinery to the parts of the collections which relate to how people lived – such as clothing, crafts, food and traditions. The 40 grants, awarded by the DCMS/Wolfson Museums and Galleries Improvement Fund, are designed to fund renovation and improvement projects in museums and galleries, to increase access and enhance the display of exhibits. 40 museums across the length and breadth of England will benefit from grants worth over £4.6 million. Basket makers taking part in MERL’s Radcliffe Trust-funded ‘Stakeholders’ project examine rarely seen items from the MERL basket collection, currently housed for the most part in the object store, only accessible to researchers and visitors on guided tours.